There are many shrubs and trees whose berries last through late fall and into the winter, adding color to the dull, brown and dreary landscape. Some of the berries will get eaten as they do provide food for birds and wildlife. Below, I‘ve listed some berry bearing shrubs that do well in zones 5 and 6. – American beautyberry, Callicarpa Americana (full sun) a deciduous shrub, produces small pink/lavender flowers in spring. Beginning in October, the beautyberry produces violet to magenta colored berries that grow in clusters along the branches and usually last through November. – Spiceberry, Ardisia crenata (part sun to light shade) produces many long-lasting, bright red to scarlet berries that stand out against its evergreen leaves in fall and early winter. – Black chokeberry, Aronia melanocarpa (full sun or partial shade) bears clusters of pale pink flowers in early summer. Deep purple, almost-black, tart and bitter berries form in late summer and last through January on this deciduous shrub. – American Holly Ilex opaca, (sun to part shade) bears red berries that remain all winter amongst the evergreen dark- glossy leaves. – American Cranberrybush, Viburnum trilobum (partial to full sun) a deciduous shrub, has clusters of white flowers in the spring. 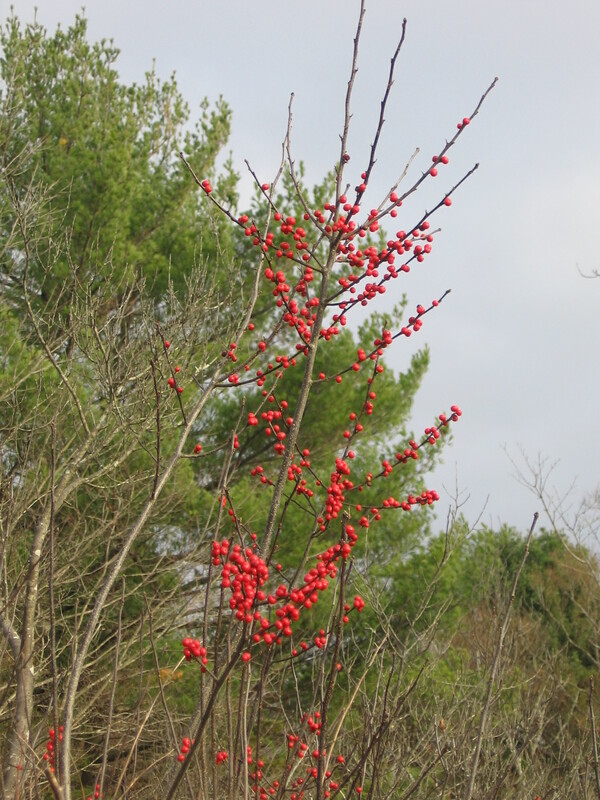 The berries are red or yellow and hang on the branches all winter. – Cranberry Cotoneaster, Cotoneaster apiculatus (partial to full sun) an evergreen shrubby groundcover bears tiny pink flowers in the spring and red berries in the fall that last through the winter.